Greth Liseth is a mother to five children. Her husband left her; she raises her children alone. The 34-year-old strives to care for her family, but life is hard in their home on the dusty, gravel road that lines the countryside of Olancho in Honduras. 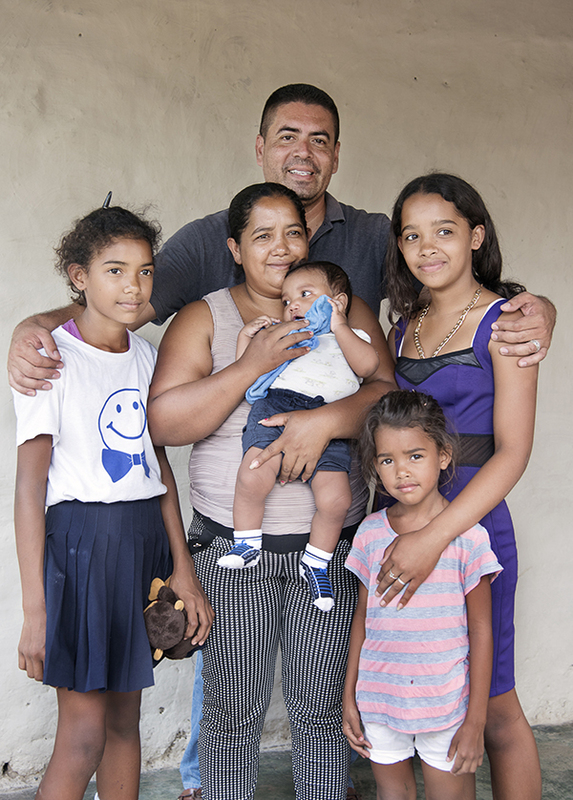 Greth Liseth wakes up at 5 a.m. each morning to prepare breakfast for her children before they go to school. She then goes to work as a cook in a private home. Her oldest daughter, who is 14 years old, stays home to take care of little Manuelito. Greth Liseth earns 1,000 lempiras each month — approximately $44 — which is never enough to buy groceries for her children. She must borrow money to survive. 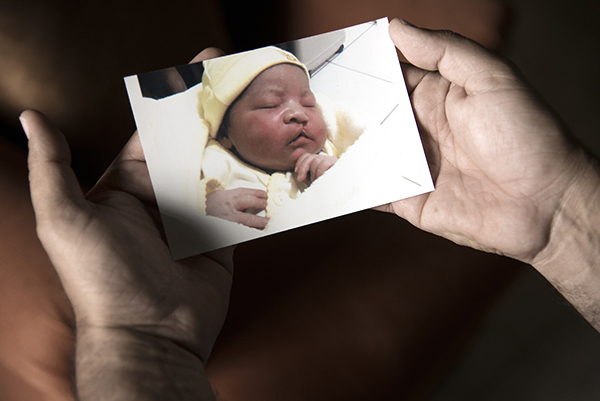 When Manuelito was born six months ago, she felt overwhelmingly burdened, desparate and lonely. People turned to superstition and blamed Greth Listeth for Manuelito's condition, saying she had watched too many lunar eclipses. One woman told her that her son was a monster, and his deformities were her fault. “But the doctors said I shouldn’t worry too much since they know a person that could help. His name is Don Alex Guerrero and they gave me his number,” Greth Liseth said. Alex, or Don Alex as he is called by everyone he meets or helps — the use of the honorific Don conveys respect for that person, is a father to four children. His youngest son, César, was born with a cleft lip and cleft palate three years ago. He remembers how he and his wife, Adilia, experienced the most difficult time of their lives trying to find help for their son. 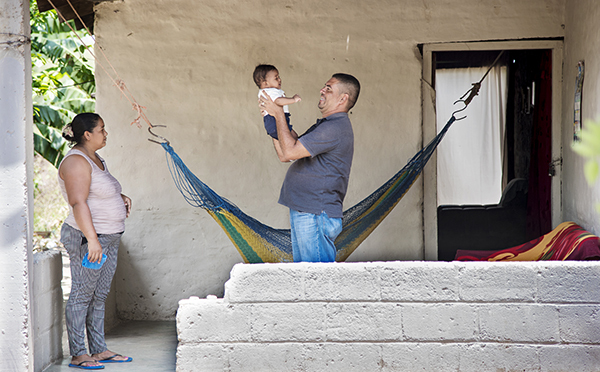 No doctors had advice for them when César was born, and he almost died of malnutrition. 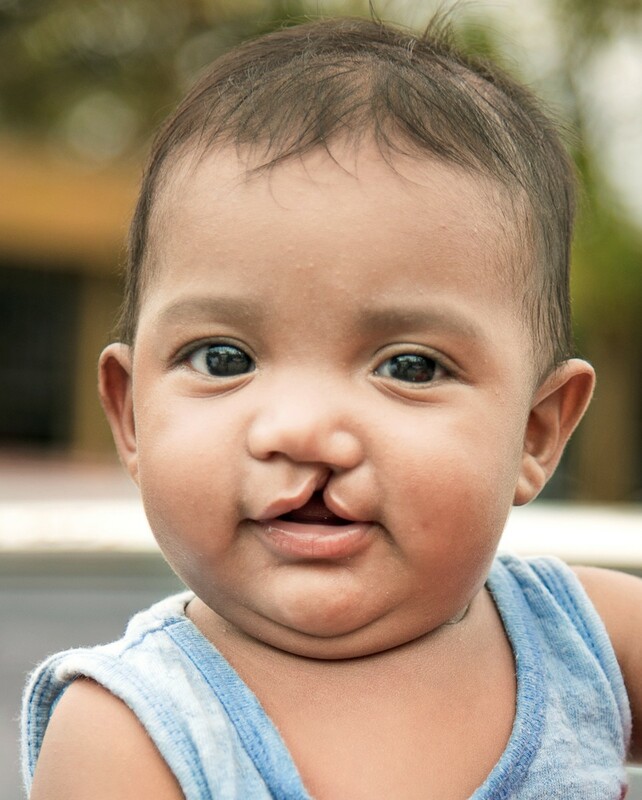 Fortunately, they found Operation Smile’s care center in Tegucigalpa where they finally received the free surgery that saved their son’s life. They have since committed themselves to helping other families in their region. Greth Liseth’s family is one of them. “Don Alex found me at the bus station when I had just left the hospital. I didn’t know how to feed my son. Don Alex told me to stay there. He left and came back with formula, drove me home and taught me how to feed my son,” Greth Liseth said. 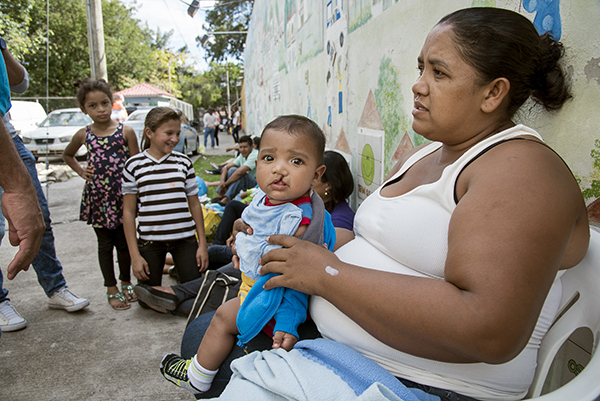 Greth Liseth arrived to the Operation Smile medical mission in Tegucigalpa’s Hospital San Felipe in the hope that her son will receive surgery. Don Alex brought her and 18 other children in need of surgery and their parents there. 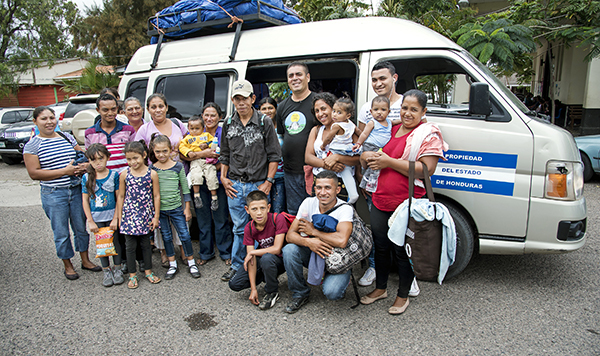 Before this trip, Don Alex escorted Greth Liseth four times to Operation Smile’s care center, which is only steps away from Hospital San Felipe. 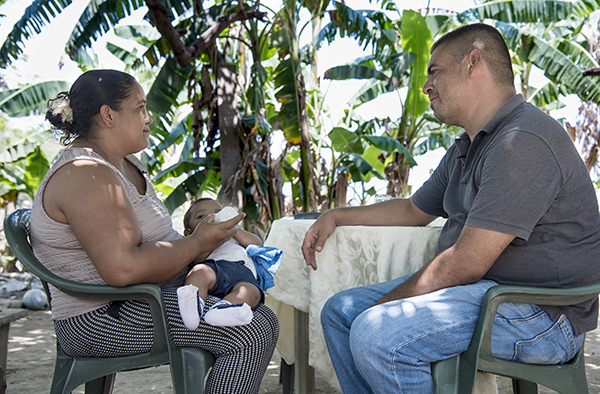 The medical staff at the center provided Greth Liseth with instructions and the formula her son needed to gain enough weight for the surgery. Greth Liseth could have neither afforded the bus ride to the city, nor would she have dared to go there alone without the help of Don Alex. 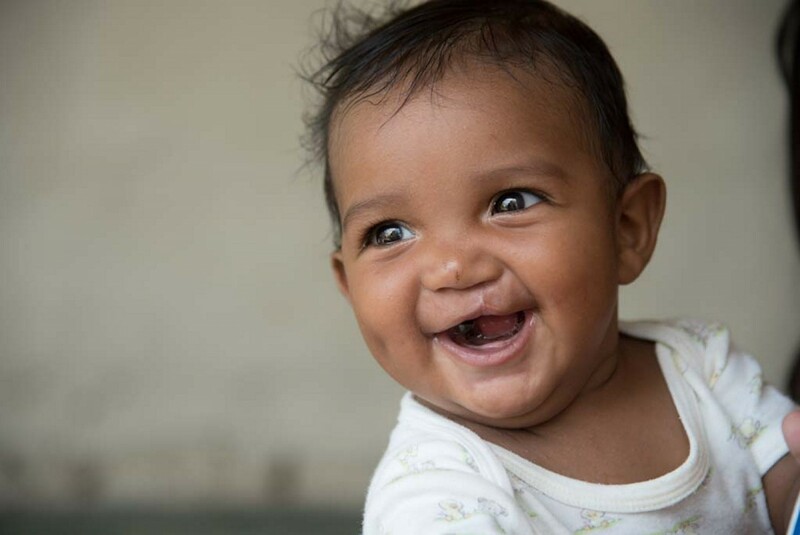 Without him, she would not have found Operation Smile and Manuelito would not have received one of the 150 surgeries peformed on children like him during this medical mission. Greth Liseth feels confident about her son’s future now. “He is going to be a beautiful boy,” she said. “He already has many ‘girlfriends’ at the center. The female staff love him and play with him every time I go there,” she said with a smile. Beyond that, she now loves her son deeply. Her feelings of loneliness and despair have disappeared.